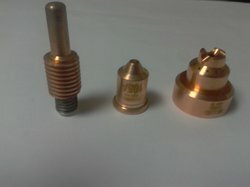 Hypertherm Plasma consumables of PMX105,PMX30,PMX45,PMX65,PMX 85 ETC. 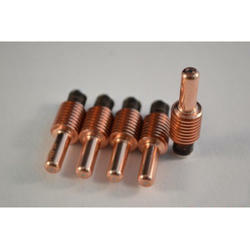 We are leading manufacturer and supplier of Hypertherm Poewrmax 105 Torch Parts. Powermax 45 consumables, powermax 65 consumables, powermax 85 consumables, powermax 1000 consumables, powermax 1250 consumables, powermax 1650 consumables, max 200 consumables, hpr 130 consumables, hpr 260 consumables, hsd 130, ht2000. Etc. 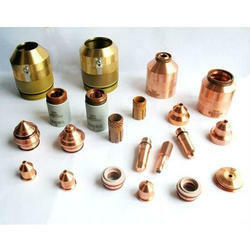 Electrode, nozzle, shield, swril ring, retaining cap etc. We are offering of APH Plasma Consumables. 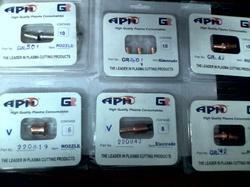 Our APH Brand Consumables Provides complete range of replacement products. Looking for Hypertherm Plasma Consumables PMX 105 ?